In 2014 around 58% of households use the regulated electricity tariff (PVPC), compared with 94% before 2008. Consumer organisations still advise households with less than 10 kW contracted to use the PVPC rather than free market tariffs. We take a look why. In Spain there are 48 different electricity supply companies that operate nationwide. This number is 26% higher than 2013 and is complemented by several companies that operate on a regional basis. The majority of company names won’t be familiar to you, as Iberdola and Endesa still hold the majority of the market in Spain, but these newcomers are trying to gain clients by offering discounts and additional services. Electric companies have adapted their invoicing systems to reflect the new way of calculating bills and from July will be sending out the new style invoice. During the first half of 2014 the PVPC tariff decreased by 10%, however this was not noted by households who have been paying an artificial price while the new system was sorted out (a rebate will be made on invoices sent out in July or August). It is estimated that in the second half of 2014 the PVPC will increase, giving an overall price for 2014 only about 3% less than last year. If a Free Market Tariff can be Cheaper, Why Should I Use the Regulated Tariff? Companies want to get people away from the regulated tariff and on to a free market contract. At first glance quite a few of the rates seem to be attractive, however as with any offer you need to check the details. In 2013 a study made by a consumer organisation concluded that many tariffs that claimed to offer discounts of between 5% and 10% would actually work out more expensive than the regulated tariff on an annual basis. One of the major problems with the new system is that the PVPC rate is calculated on real hourly prices for the period covered by your bill, rather than being set for the following quarter (as it used to be). Therefore it’s impossible to see if a free market tariff is cheaper or not for the future, as tariff comparisons can only be made for a period already ended and this is no guarantee that a free market tariff will continue to be competitive. Many free market contracts come with optional extras that are offered free of charge during the first 2 or 3 months. A typical extra is the maintenance service, but you can also find payment protection, household appliance protection and several more that can end up costing around 5€ or more every month. Some contracts link your electricity and gas to the same supplier, again with discounts, an option that isn’t viable for households without a natural gas supply. 2014 has also seen the introduction of new fixed rate tariffs. 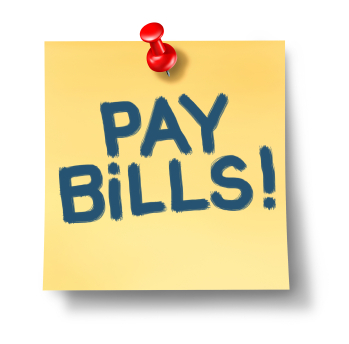 These are prorated monthly with no end-of-year adjustment, however in exchange for the peace of mind of knowing what you’ll pay on every bill, the cost is between 17% to 20% higher than the regulated tariff. These rates will be adjusted yearly (rebate or pay the difference) but if you go over the kWh contracted the excess will be charged at over double the normal rate. Fixed rates may be subject to a minimum contract length (normally at least 12 months) and a penalty charge for early cancellation. Take into account that penalty charges may not only be applied on new contracts but also on each annual tacit renewal. The liberalisation of the electricity market, coupled with clients who’re willing to swap tariffs and/or suppliers on a regular basis, has led to an increase in offers from independent suppliers. These independent energy suppliers have managed to attract over 100,000 clients in the last year, clients who previously had contracts with traditional suppliers such as Iberdrola or Endesa. You’ll need to take care with some smaller suppliers that are actually set up as cooperatives and require a joining fee of around 100€. Unless you’re willing to stay more than a year with these cooperatives, you won’t see the benefit of a lower tariff. Which Companies Offer the PVPC? Soon more companies will be able to offer the regulated tariff when approved by the Industry Ministry. In the last year around 1.3 million clients in Spain changed their electric supply company. Increased prices and poor customer service mean that more and more people are looking for a better offer, which over time should mean good news for consumers. An internet-savvy generation can easily find information that companies have successfully hidden away in contract small print. Additionally the new consumer law 2014 prohibits the inclusion of ticked boxes for additional services – in other words consumers have to opt-in. If you read the small print carefully and are willing to recheck offers on an annual basis then you could pay less with some free market tariffs (but not all). If, like the majority of people, you tend to forget to check your tariff regularly then you’ll probably be better with the PVPC rate. If you have over 10kW contracted, then you have no choice but to choose a free market tariff. Remember that it doesn’t pay to be faithful to your supplier and you should be checking competitor’s tariffs every year. Take into consideration that companies can increase tariffs at any time unilaterally on most free market rates. Additionally when there is a change in the access rate, fees, etc (fixed by the Government) then these will be applied immediately as well as an annual change in the Retail Price Index. If you’d prefer to have your invoices in English, then normally only bigger companies offer this service. Internet-only tariffs are also available from some companies, but are not suitable if you prefer to be able to phone the customer service department or get your invoices by post. Remember than any contract must be signed by both parties, once you’ve received it (by email or by post) you have 14 days to change your mind. See our post on the new consumer law 2014 for distance purchases. Use the official energy comparison website that finds tariffs based on your post code and annual consumption. Remember to check each supplier’s website for the small print as the comparison tool only shows the first and second year annual cost but without extras (Note: the cost in the second year is useful to filter out those companies with introductory 12-month offers that hide the true cost in subsequent years). We’ve read that only fixed rate tariffs can be subject to a penalty clause for cancellation, but not free market rate contracts. So, when a company shows “cancel any time” as a benefit, this is just the law! Related Post: Your Electricity Bill in Spain – What Is Happening?